For state-run lenders, the average NPAs shot up to 14.5 per cent, with IDBI Bank, UCO Bank and Indian Overseas Bank having their NPAs at above 25 per cent. Losses by state-run banks have almost entirely wiped out the $13-billion capital infusion by the government, and the situation is unlikely to improve in the current fiscal year, ratings agency Fitch said on Friday. The big losses will pressure the banks' viability ratings as well, it warned. "Cumulative losses at the state banks were large enough to wipe out almost all of the government's capital injections of $13 billion in FY18, and weak performance is likely to continue in the coming year," it said. 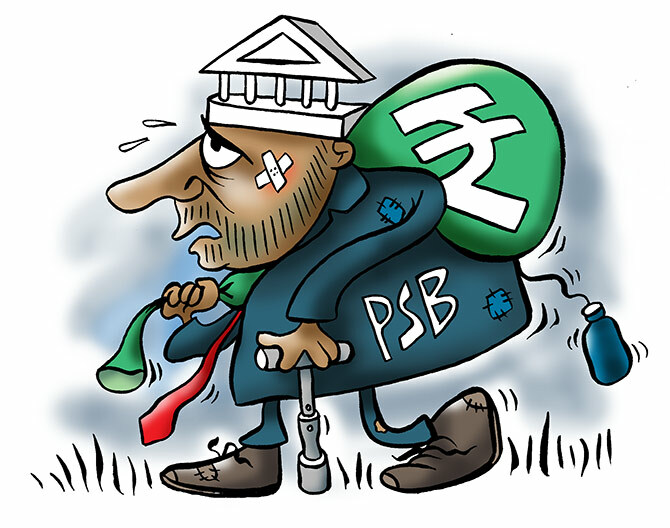 The poor results are due to revision in the non-performing assets (NPA) recognition which is accelerating bad loan recognition, it said, adding that the February 12 revision is part of a clean-up that should improve the health of the bank sector over the long term. The revisions have led to a major uptick in the credit costs for state-run lenders to 4.3 per cent in FY18, from 2.5 per cent in the year-ago period, while NPAs for the overall banking sector rose faster than expected to 12.1 per cent from the 9.3 per cent. Around 19 of the 21 state-run banks reported losses for the fiscal, including country's largest lender SBI, while the otherwise resilient private sector banks were also not immune, with Axis Bank reporting its first quarterly loss. Capital buffers at six state-run banks, including second largest lender by assets Punjab National Bank, slid below the minimum prescribed by the regulators, it said, adding that they will have to meet the 8 per cent requirement by end of FY19. The $11-billion in capital committed by the government for FY19 will help banks avoid breaching regulatory triggers, but more government capital is required to stabilise banks' balance sheets, meet regulatory requirements and support growth, it underlined. It is possible that the list of state-run banks placed under the RBI's prompt corrective action (PCA) framework that focuses on strengthening quality over growth, will get enlarged this year, the agency said. On a positive note, it believes the higher NPAs reflect a "full recognition of legacy problems" and also welcomed the rise in provision coverage ratios by the banks to 50 per cent. NPA resolutions under the insolvency and bankruptcy code can also release capital for the banks, but there is the risk of legal delays on this front, it said. The agency also said that funding for the state-run banks has been "very stable" as depositors and senior creditors have confidence that government support will be forthcoming as required.